APA President Jeffrey Lieberman, M.D., is using the Psychiatric News Alert as a forum to reach APA members and other readers. Please send your comments to pnupdate@psych.org. Leading the national association for psychiatrists isn’t for the faint of heart. We can be a contentious group, not because we aren’t collegial, but because we have strong opinions about our chosen field of medicine. These opinions become particularly impassioned when psychiatry is faced with challenges and must adapt to change. For more than a decade, Jay Scully has led APA as its chief executive officer and medical director (CEO/MD) through an extraordinary period of change. His calm manner, keen mind, consummate professionalism, and willingness to engage openly with members have helped the Association set a course to overcome challenges and maintain its focus on what is most important. While his most notable contributions are from his time as CEO/MD, it’s important to note that his involvement with the Association has spanned his career. 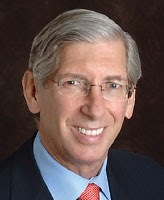 Prior to his term as CEO/MD, Jay served as a deputy medical director of APA and director of its Office of Education from 1992 to 1996. Since he rejoined the APA staff in 2002, Jay has had to address head-on some of the most difficult issues that APA has ever encountered—APA’s finances, membership, and transparency of industry relationships. He strengthened the Association’s financial posture through a critical reorganization and creatively crafted policies to increase revenues and optimize resource allocation.